When glass beads are made fine enough, they feel like silk to the skin. Our Murano artisans create this Murano demi-torsade with exceptionally tiny seed beads with pure silver beneath the crystal clear glass. As they hand-string these seed beads, they intersperse them with ones they make of jet black glass. Then for this Murano necklace they join over 45 strands to hematite colored glass pearls, also of their making, and sparkling crocheted crystals for a necklace that is simply dazzling. Silver-plated findings. Approx. 36in. long. 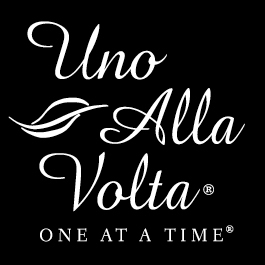 Made exclusively for Uno Alla Volta.